We have helped thousands of Hill Country patients achieve better vision from our office in beautiful Marble Falls, Texas. We look forward to building a relationship with you and your family as your eye physicians and surgeons. We enjoy caring for patients of all ages, including children. Throughout our history, our goal has remained the same: to deliver compassionate, technically excellent ophthalmic care. We are at the forefront of the eye care industry and offer our patients the latest treatments, technology and information available. Our office specializes in maintaining the health of your eyes. We advise patients to visit us once a year for a complete eye exam. A yearly exam allows us to protect your vision by diagnosing and treating eye disease before it becomes a serious threat to your vision. There are some eye diseases which are more common after the age of 50, such as cataract, glaucoma, and age-related macular degeneration. For this reason, it is particularly important to have your annual examination after 50 years of age. If you have a problem with your vision, our warm, caring staff will take the time to explain the treatment options. We will help guide your decision-making process by answering any questions and addressing any of your concerns. Our doctors and staff seek to correct the vision problems that you have, in order to provide you with the best quality of vision for a healthier, happier life. 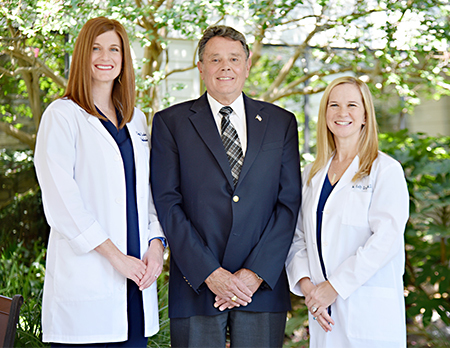 Give us a call today and let us show you the Mary Kelly Green, M.D., PLLC difference.